1. “Climate Curious,” by environmentalist David Siegel: What he learned about climate change. 2. 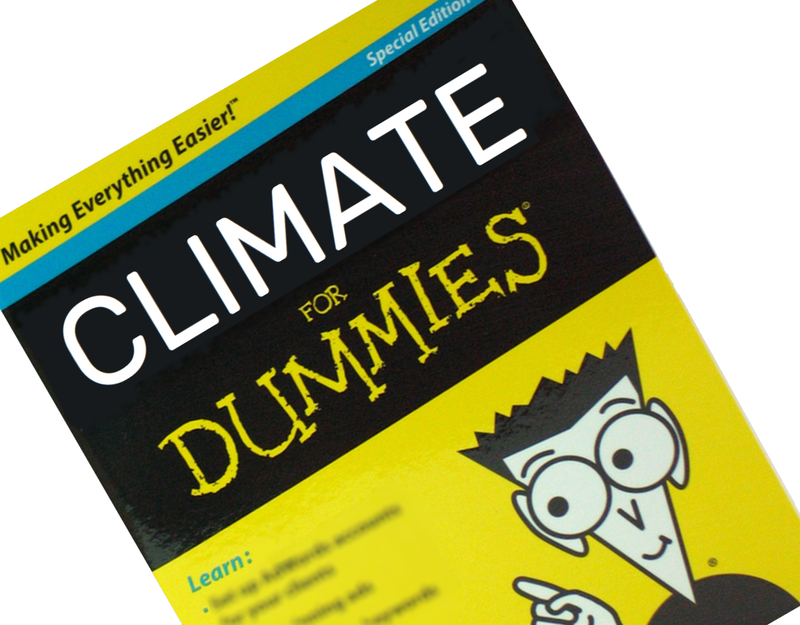 PragerU: What Science Reveals About Climate Change (videos). 3. BestSchools: Karoly/Tamblyn—Happer Dialogue on Global Warming, 2016-2017. An in-depth, balanced, written debate, between leading experts on both sides of the issue. 5. Three top scientists briefed the judge on climate science, in the 2018 Calif v. BP lawsuit. It was educational for him, and it probably will be for you, too. 6. 2014 UNC Physics Colloquium by Princeton atmospheric physicist Prof. Will Happer. 7. 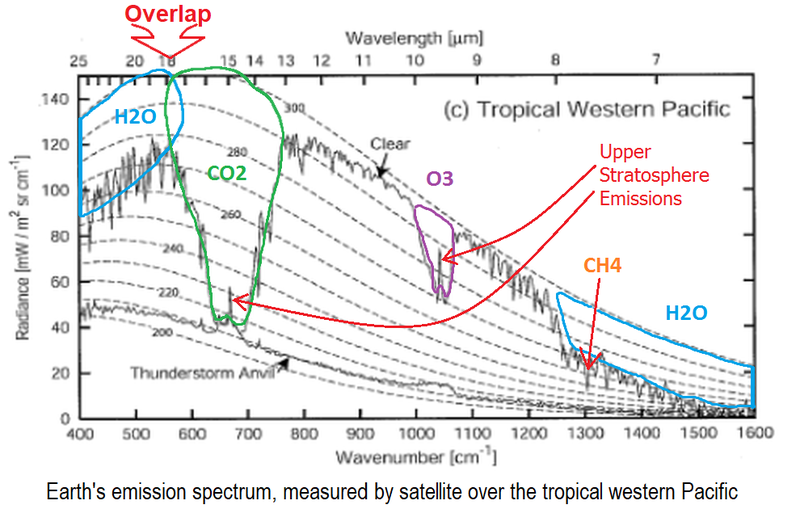 Wilson, 2012, Simple model to estimate the contribution of atmospheric CO2 to the Earth's greenhouse effect. 8. Pierrehumbert, 2011, Infrared radiation and planetary temperature (and discussion). 9. http://sealevel.info (shameless promotion of my own web site -DAB). 10. 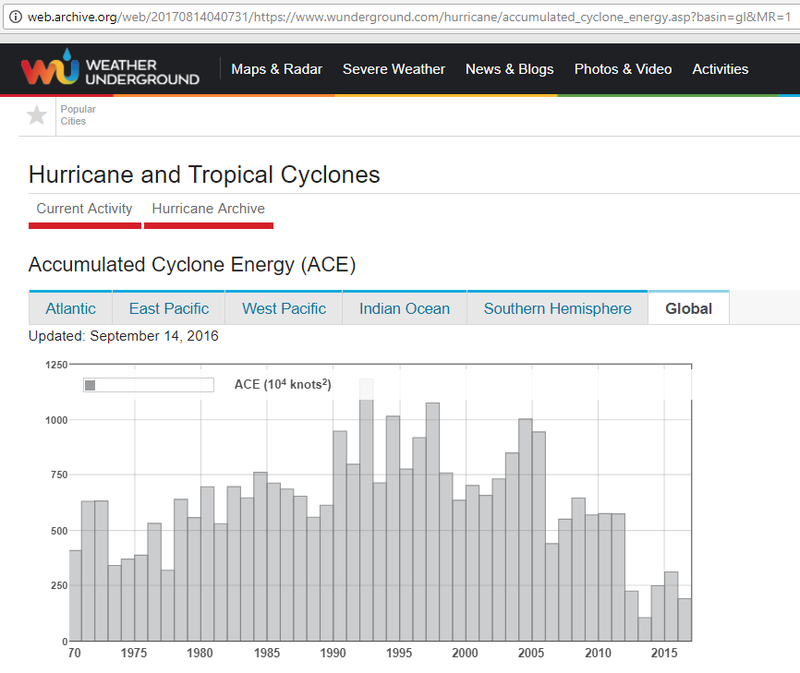 Clickable thumbnails for NOAA's entire 2016 list of 375 long term trend tide stations. 12. Lin & Chan (2015), Recent decrease in typhoon destructive potential and global warming implications. Nature Communications, doi:10.1038/ncomms8182. 13. 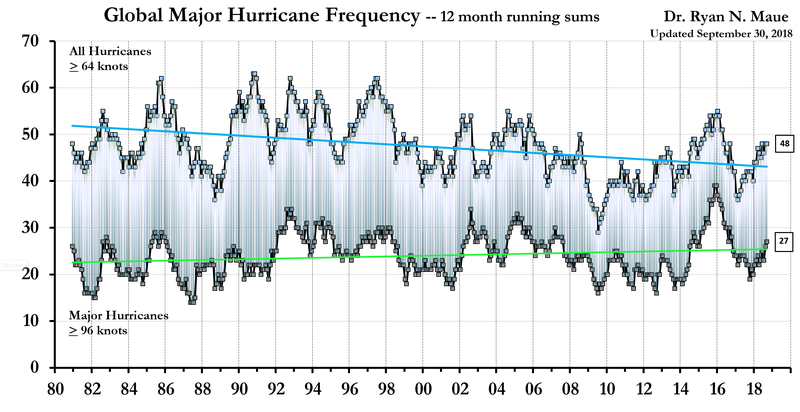 WeatherModels.com: Global Hurricane Frequency graph (twelve month running sums). 14. 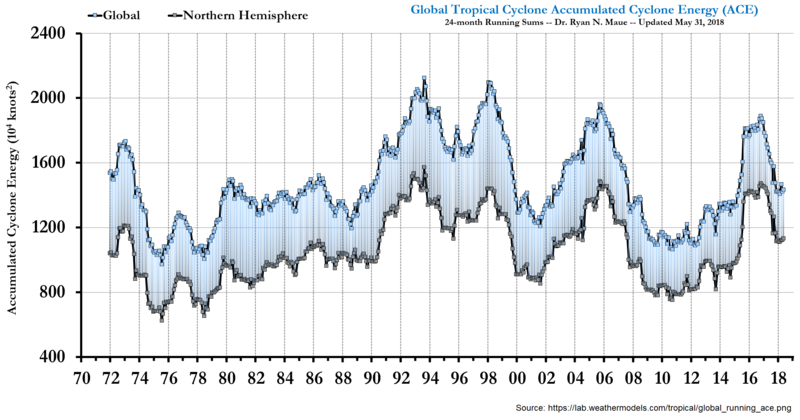 WeatherModels.com: Global Tropical Cyclone Accumulated Cyclone Energy graph (ACE) (or similar graph from wunderground.com). 15. 2018 US tornadoes lowest in 65 years of record-keeping, by meteorologist Anthony Watts. 16. NOAA: U.S. 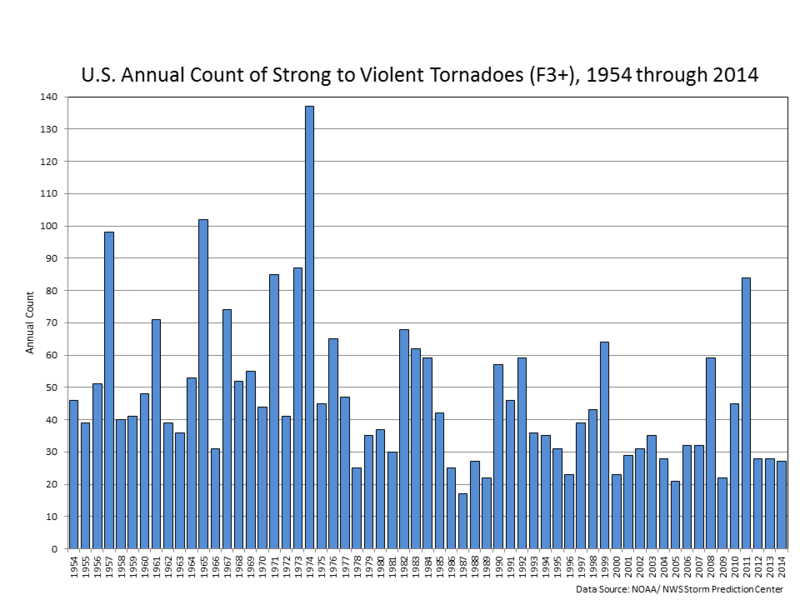 Annual Count of Strong to Violent Tornadoes (F3+), 1954 through 2014 (graph). 17. 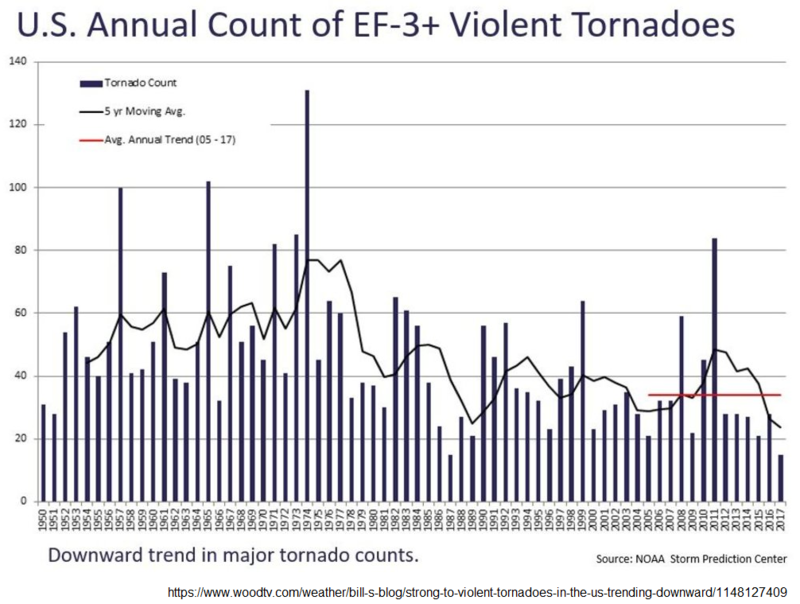 WoodTV: Strong to Violent Tornadoes in the U.S. Trending Downward, by meteorologist Bill Steffen (graph). 18. 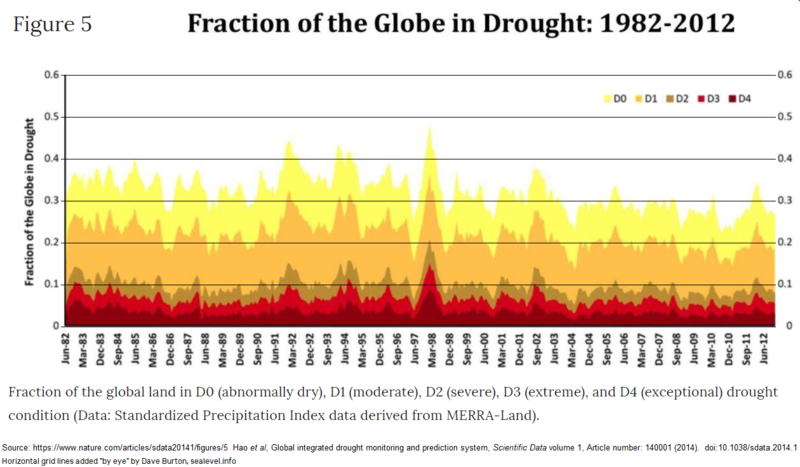 Global integrated drought monitoring and prediction system (and graph). 19. 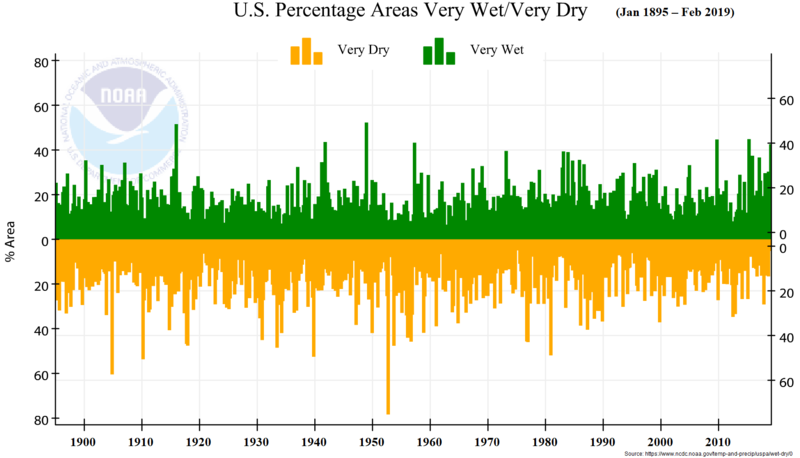 NOAA NCDC: U.S. percentage very wet or very dry (and graph). 22. 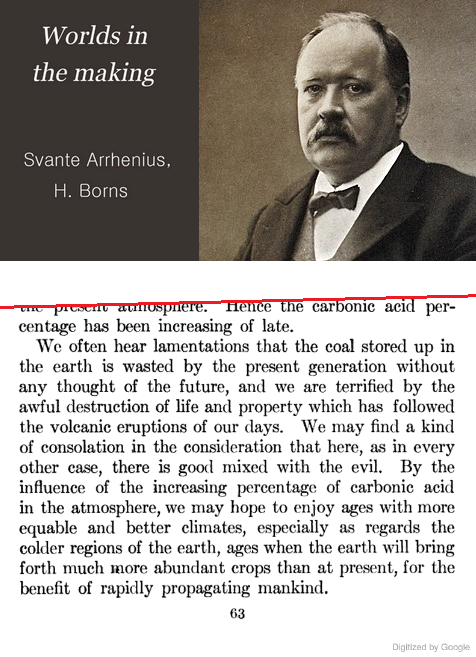 Carbonic Acid Gas to Fertilize the Air, Scientific American, Nov. 27, 1920. 23. The Center for the Study of Carbon Dioxide and Global Change (“CO2 Science”) is a 501(c)(3) educational charity, dedicated to factual climate science. They maintain a huge and extremely useful plant growth database, which catalogs scientific studies of the effects of varying CO2 levels on hundreds of plants. 25. 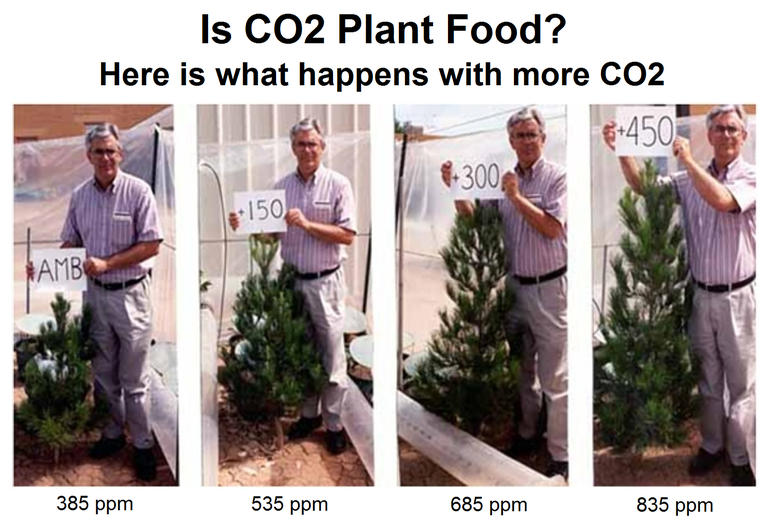 Increased agricultural productivity due to rising CO2 level is one of the reasons that famines are becoming increasingly rare, for the first time in human history. That's a very, very Big Deal. 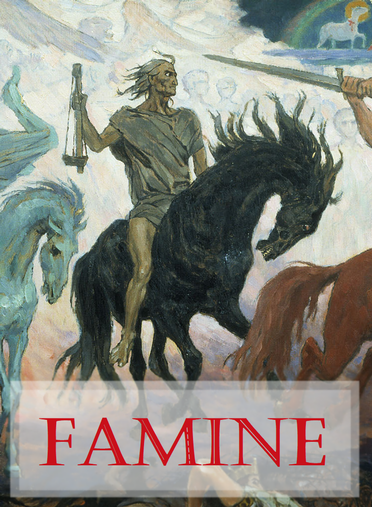 Famine used to be a scourge comparable to war and epidemic. For comparison: WWII killed 2.7% of the world's population, and the catastrophic 1918 flu pandemic killed about 2% of the world's population. 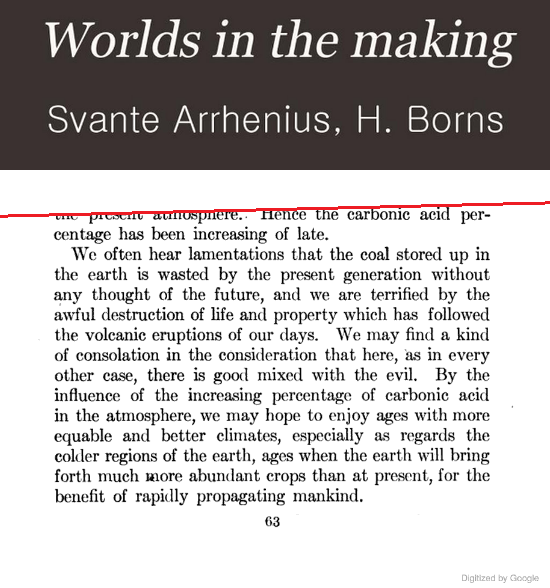 But the global drought and famine of 1876-78 killed about 3.7% of the worlds population! 27. Watts Up With That (“WUWT”), by Anthony Watts. 28. Climate et cetera by Judith Curry. 29. Climate Audit, by Steve McIntyre. 30. Moyhu, by Nick Stokes. 31. Science of Doom, by Steve Carson. 32. All Models Are Wrong (but some are useful), by Tamsin Edwards. †Note: blogs which are censored to suppress dissent are not listed. That unfortunately includes several prominent ones. 33. Want more? I also maintain a long list of climate blogs and other useful sites, and I've written many Quora Answers on climate change.